This is the finished shower. 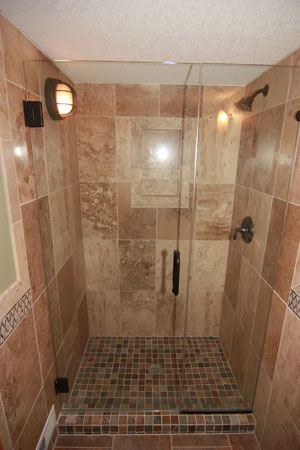 The walls are 12"x18" travertine tile with 2"x2" tumbled travertine for the shower pan. There is a recessed area for shampoo/soap.